Ask about neighborhood and municipal dog park equipment. 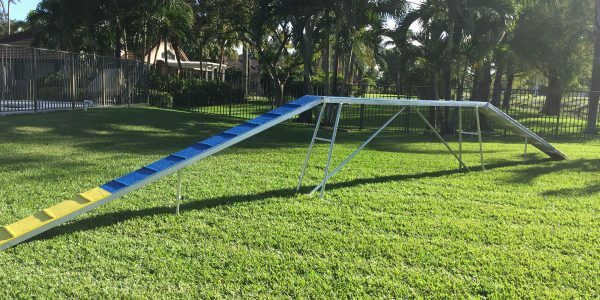 Our dog park agility equipment is built to withstand the harsh abuse associated with an outdoor public use park. We use heavier materials and your choice color of powder coat.